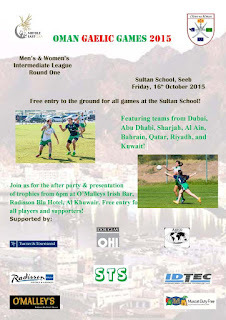 This weekend on Friday 16th October the Clann na hOman are hosting the Oman Gaelic Games at the Sultan School in Seeb. There is free entry to the ground for all games and the tournament will feature Men's and Women's teams from Dubai, Abu Dhabi, Sharjah, Al Ain, Bahrain, Qatar, Riyadh and Kuwait! That's a lot of teams! 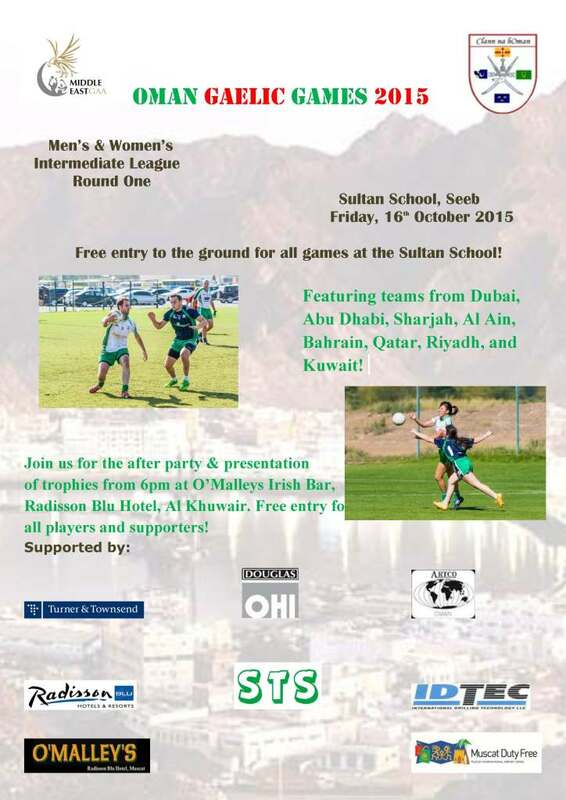 The fun gets started around 9am and the presentation ceremony and warm-down takes place at O'Malley's pub at the Radisson Blu hotel in Khuwair. Good luck to Muscat for Friday! omigosh yes!!!!! thank you!!!! I love you, thanks! DO you know the exact schedule for events or where I can find it? I wanna see some hurling!! !